Hand #14: Oscar Kemps opened the button to 425,000 and Christopher Greaves three-bet the small blind to 1,125,000. Kemps folded and Greaves collected the pot. Hand #15: William Tonking limped the small blind and Jorryt van Hoof checked his option to see a flop with both players checking. The was also checked by both players. The on the river saw a bet of 285,000 from van Hoof to ensure he won the pot. Hand #16: From under-the-gun, Dan Sindelar opened to 450,000 only to have Andrey Zaichenko move all in next to act for 2,615,000. The action passed around to Sindelar who wasted no time and called. 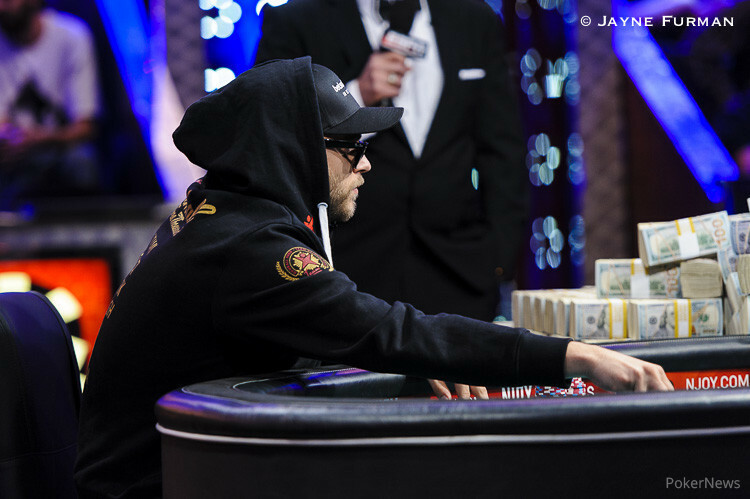 With Zaichenko trailing and needing to win the race to stay alive, the dealer spread a flop to give the Russian outs to any spade, along with a live ace and jack pair draws. The turn of the increased Zaichenko's outs by an additional three as any would give him a straight. 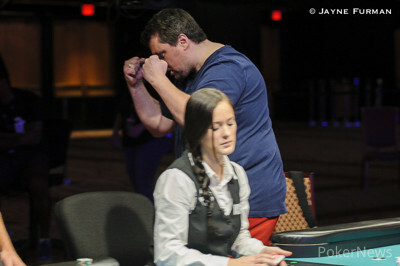 Fortunately for the Russian, the river landed the to see him make a flush and double through to just over 5.8 million.